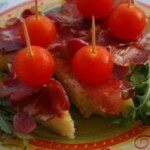 Spanish Tapas: A Delightful Taste of These Pretty Tasty and Easy-To-Prepare Snacks! Whether we admit it or not, everybody loves to eat; and while some has specific favorites there are those among us who loves trying different delicacies. And if youre among the latter, you must be familiar with Spanish Tapas; if youre not yet familiar with the word Spanish tapas, then take this little tour into the world of these delicious snack. Spanish Tapas are essentially snacks found in most regions of Spain. These snacks are often included in the price of drinks served in most Spanish bars; here, Spanish tapas are made of few olives, a piece of cheese, etc depending on what kind the bar offers. However, there are Spanish tapas that are made of bigger portions to make up a meal. In Spanish, tapas means cover, hence the most common explanation of Spanish tapas are items, breads or flat cards, often placed on top of a drink to protect it from flies. In some part of southern Spain, Spanish tapas usually go for free when you buy a drink; this is mostly the case in the province of Jaen, Granada and Cordoba. However, in most cases you have to pay both for the drinks and the Spanish tapas. 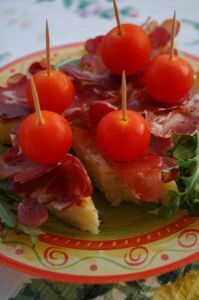 Spanish tapas are also called pinchos/pintxos since many of them have pincho or toothpick; the toothpick is used to keep whatever the snack is made of from falling off the bread it has been attached to. Banderillas (diminutive of bandera or flag) is another name for Spanish tapas because in some part, they resemble the colorful skewers used in bullfighting. Croquetas these are very traditional Spanish tapas and most tapa lovers consider a tapa night out as incomplete without these. Empanadas these Spanish tapas are large rectangular pies of olive-oil pastry with meat or fish filling. Gambas al Ajillo these Spanish tapas are savory dish that you can find all over Spain. It is normally cooked in the oven and use small gambas, shrimp or large king prawns. Stuffed Piquillo Peppers are Spanish tapas stuffed with everything from crab to tuna to meat. Spanish Tapas has fast evolved into one favorite snacks not only in Spain and other Spanish countries but also to other continents like the United States. There many upscale tapas restaurants in the United States that offer Spanish tapas; these are typically served as main course. Commonly, Spanish tapas are being served in bar or small restaurants; they may have 6-8 different kinds of Spanish tapas in warming trays with glass partitions to cover the food. Most American households are now preparing Spanish tapas at home for their family; these snacks are easy to prepare as its healthy and got high nutritional value.